A man has been charged with murder following the death of a woman in Leeds. 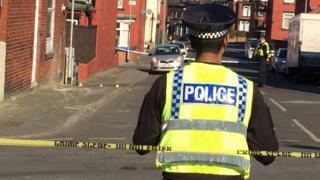 The 21-year-old was found seriously injured in Milan Road, Harehills, shortly after 19:00 GMT on Monday. She died a short time later in hospital. Karar Ali, 29, of Milan Road, is due to appear at Leeds Magistrates' Court later. A 34-year-old man who was arrested in connection with the incident has been released without charge, police say.